The road to your best self as an athlete is a long one. Weightlifting is hard, requires a lot of sacrifices (from both the coach and the athlete) and requires a lot of exploration to figure out what works best for you (ie : the training system). Many people have different ideas of what it takes to get to the top. Some people get to the top using very specific and well calculated methods and some people use rather general methods. There is no better road or faster road. 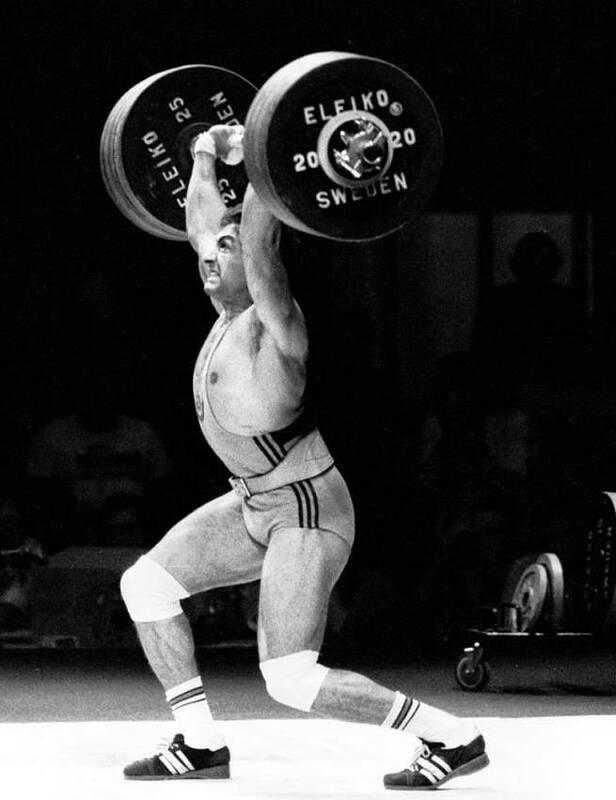 For instance, reading older weightlifting Russian literature, you can see that the training process used to be (probably still is) very calculated. There are books that list a full year of training with calculations for tonnage (volume), average weight or average intensity (same thing), and number of lifts. Then there are other methods that are much more flexible. These methods often focus on auto regulation of volume and intensity based on how people feel and what they can get out of them on a given day. These methods often write out sets and reps, but not %. They often use wave loading using weights that feel good but are challenging. Bulgarians are said to have used such a method. A new phenom is Crossfit. Many kids coming out of Crossfit seem to be able, with some extra care, to make it to nationals or junior worlds. A very general and very broad method of training can take (does not mean can make you win) a talented athlete to those place. However, the first two methods have consistently created senior international lifters while the Crossfit method hasn’t really produced an incredibly competitive senior lifter on the international stage, at least to my knowledge. To me, this suggest that such a system can work for the developing talented athlete (read junior athlete) but it will need to change towards a more specific method sooner rather than later if the goal is to be competitive especially once the athlete turns senior. The bottom line is that the training system has to be adapted to the athlete. Some athletes are ”control freaks” and really need that sense of purpose (see the big picture) and be able to see further down the line. A very well planned training system tends to benefit them a lot more than a very flexible one. It is harder to change somebody’s personality than it is to work with it. On the other hand, some people need to train under a very flexible training system. These people tend to be able to guess well weights they can or can’t do on a given day and they understand their body and recovery need well. This is why a flexible training system, based on auto regulation, works a lot better when you have been training for a while. Furthermore, some training system are quite varied and some are very specific. There are systems where people don’t do pulls, presses, push presses, hang lifts, block lifts or power lifts and there are systems that include everything and then some more (jumps, sprints, kettlebells, etc.). The right training system is the training system that will get YOU to progress. It can’t be a one size fits all and it has to address your issues as a lifter. For one, it has to fit your personality as a lifter. Many people think athletes should have no say in what the training system should be,but I disagree. The system needs to fits the psychological needs of the athletes. It has to make the athlete tougher mentality and reassure the lifter (ie : make him/her confident). For two, it has to target your own weaknesses. In other words, you have to do what you need to do to get better. For some people, it may involve the use of variations and certain strength exercises and for others it may involve the removal of variations. No exercise should be done just because. Everything can be used to get better, but it has to be specific to your problems as a lifter. For example, I have seen lifters with incredibly weak backs who refuse to add in pulls because ”lifter X” does not do pulls. On the other hand, I have seen lifters train certain lifts when the focus should have been something else for immediate results. There are no good or bad exercises, but there is such a thing as lack of specificity and lack of timing. Do what you currently need to do, and then move on to the next thing you need once this is fixed. It has been noted that many women don’t train the same way that men do. In North America, it’s just something we kind of heard from people that went to international competitions. In my experience, there are major differences. One big difference is the menstrual cycle. It involves changes in energy, changes in pain tolerance/experience, and changes in body weight. Now, I am not a doctor, but I do believe it will have an impact on the training process. Furthermore, in my experience (and it might not be always the case), it seems like many female lifters handle more tonnage easily. Looking at the data I have been collecting of women and men I coach (i have developed a spreadsheet that calculates every parameters once you plug the numbers in it), it is apparent that, at least the women I coach, can handle volume far easier than the men I coach. There is a huge difference in recovery ability between lightweights and heavy weights lifters. There are two reasons for this. 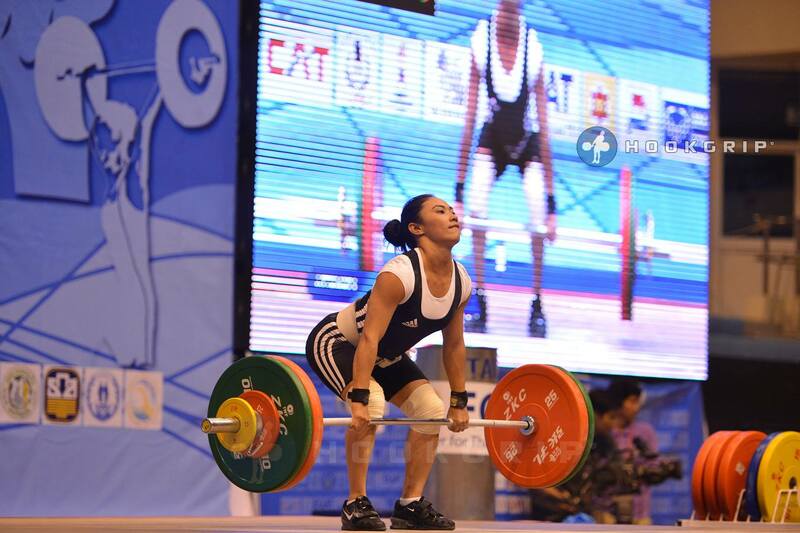 One, heavy weight athletes handle bigger weights so they automatically handle more tonnage. Two, being bigger requires more energy to recover and typical recovery methods like light aerobics can’t be performed as well in many case (running and aerobics are not that smart when you have weightlifters knees and when you weight150kg). The bottom line is your work load needs to be adapted to your recovery ability and it may differ across weight classes. There is no such thing as a one size fits all program and you can expect a lot of variation between the training of a heavy weight versus a lightweight athlete. 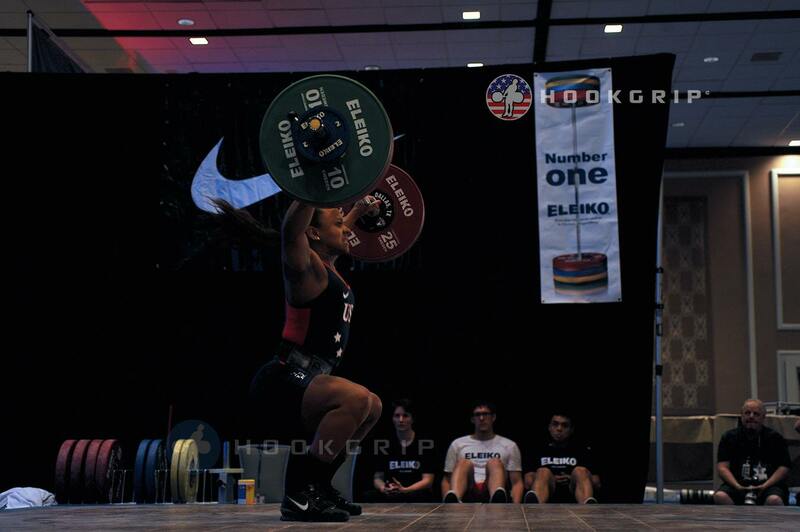 Some athletes are strength athletes and some are technical athletes. Strength athletes tend to struggle with technique (they aren’t that efficient) and technical athletes are athletes that tend to struggle with strength. 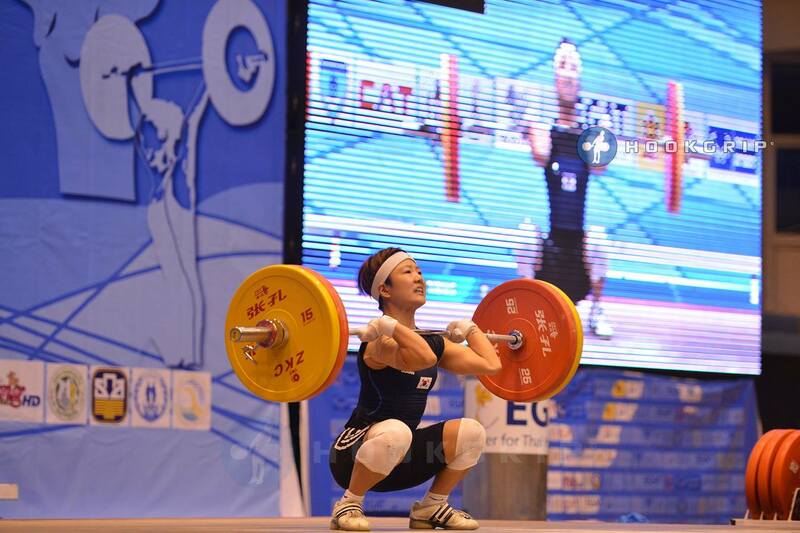 The technical athlete is very efficient, usually cleaning very close to his/her best front squat. The strength athlete is the athlete that hits huge numbers but has an excessive surplus of strength. 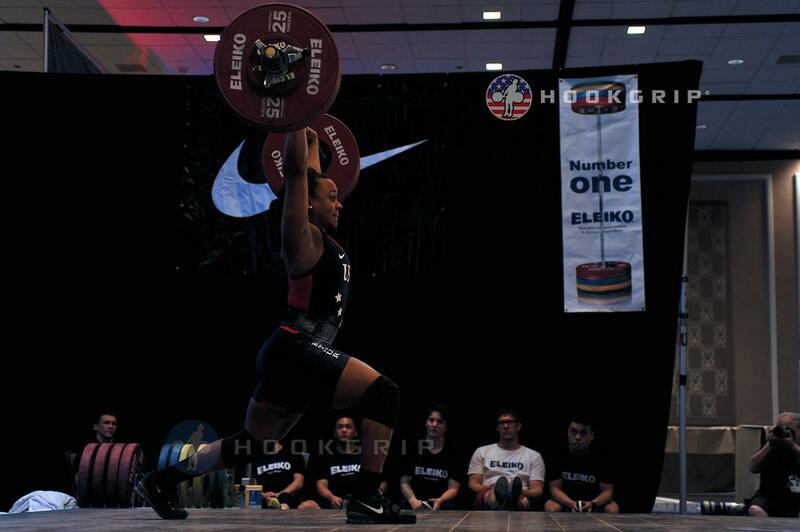 They are the athlete that push press close to their jerk, squat an extra 30-40% over their clean, etc. The technical athletes tend to burn easily when during strength phases. They need the strength work, but it lowers their technical efficiency rapidly. Special considerations need to be tough of when tapering for a meet (they need less volume and less strength work during that time). Strength athletes need to spend a lot more time developing technical mastery. It is not rare for them to do a lot more sets than others. They tend to do better when they are slightly fatigued. Many of those athletes warm up differently in order to hit a true 1 rep max. Whereas the technical athlete can get to a max very quickly, the strength athletes sometimes need to do more reps or more sets. These are generalities and it is not black or white. However, expect to notice these differences and adapt the training process to what kind of athlete you tend to be. As always, this is only suggestive, but in the end you need to reflect on the goal and think about what works and what will work. Much of what you stated in the article i can corroborate. needed more volume and more repetitions per set at a lower average intensity. did better if their training was more “Bulgarianish”.